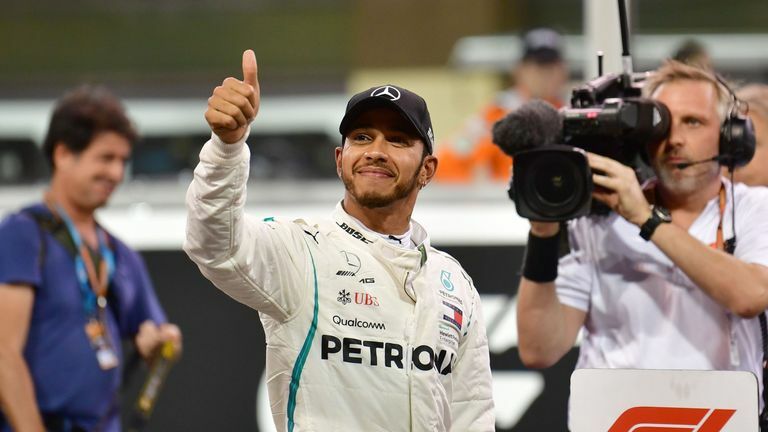 Lewis Hamilton hopes F1 2018 ends with a "close" battle between the grid's big three teams in Sunday's Abu Dhabi GP, despite Mercedes starting as big favourites for victory. F1's world champion maintained their peerless qualifying record in Abu Dhabi since the hybrid engine era began by claiming their fifth front-row lock-out in succession, with an impressive Hamilton beating team-mate Valtteri Bottas to pole by nearly two tenths. Ferrari were left on row two, with the Red Bull drivers on row three, but Hamilton is not counting them out yet. "I hope they have a strong finish to the year and I hope it's relatively close between us all," said Hamilton in response to a question about Red Bull. Ferrari made noticeable improvements in pace between Friday and Saturday, yet third-placed Vettel still trailed Hamilton by over 0.3s despite delivering what he said "felt like it was the maximum" from the car. That leaves Vettel relatively pessimistic about his chances of overhauling the Silver Arrows on Sunday. "Judging by the result today, no, we are quite far away. But come race day we've seen that usually we're quite strong so let's see what happens," Vettel told Sky F1. "Last race I've been fairly close, but [in qualifying] ultimately they seemed in a league of their own so we weren't able to put enough pressure on them to split them. "The record they have here is pretty incredible so one thing we can rely on though is that they didn't finish one-two five years in a row I guess, so let's see. It's going to be difficult to beat them tomorrow but we'll try." 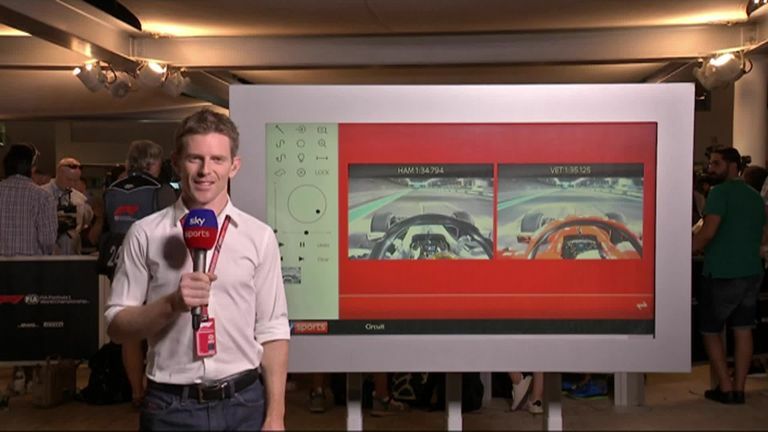 Sky F1's Anthony Davidson analysis Lewis Hamilton's pole performance in qualifying at Abu Dhabi. Can Red Bull repeat their recent stunning Sundays? Despite appearing Mercedes' closest challengers on Friday, Red Bull slipped back to familiar third-row positions but starting behind Ferrari and Mercedes a fortnight ago in Brazil hardly hindered Max Verstappen's progress in particular. 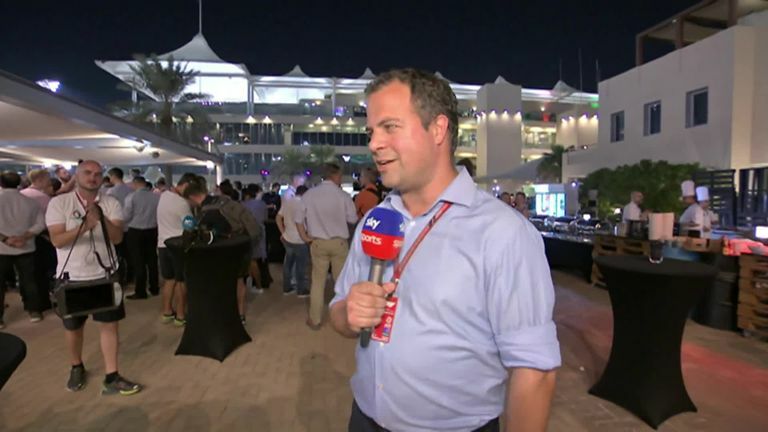 And Hamilton is expecting to see similar strengths from the Red Bulls again - although points out that the Yas Marina layout, plus the prodigious straight-line speed of the Ferraris, will not make Verstappen and Daniel Ricciardo's tasks straightforward. Lewis Hamilton feels fantastic to get pole position for the final race of the season in Abu Dhabi. "They'll be strong. They always are in the race," predicted the world champion. "We've seen a pattern show over the year where they're quick in early practice and then, when we get to qualifying, they can't keep up, or they struggle to keep up with the pace that we end up delivering, and then in the race, they come back. "So it's evident that they're probably better than all of us at looking after their tyres and operating where they don't have to manage the same as everyone else, whatever that's down to, downforce, whatever it may be. "So I'm sure they'll be strong tomorrow - but it's not that easy a circuit to overtake. And you know the Ferraris are very strong on the straight, so for them to propel past a Ferrari." 9.30am: Abu Dhabi F2 Race Two LIVE!